#LoveisBoldSiliconeRing My son is recently got married and works a lot with his hands. He's either working construction or working outside either in the yard or mechanicing on something. I was afraid of him getting his wedding ring caught on something and injuring his finger. 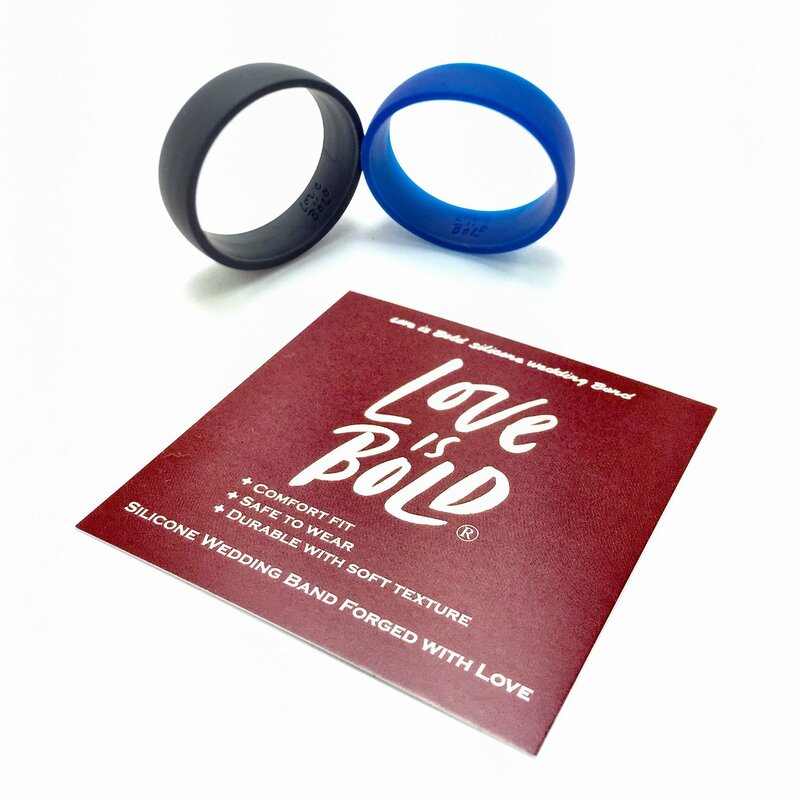 I had the opportunity to try out Love is Bold Silicone Wedding Band and thought that would be the perfect solution for him. He said it's really comfortable to wear. It's made of soft silicone and doesn't irritate his finger at all. It's stretchy so it fits snugly and won't slide off but being soft silicone if it were to get caught on something it would tear rather than injuring his finger. No fear of losing your investment in an expensive metal ring or the loss of a finger.